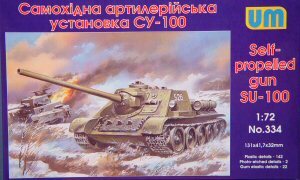 The SU-100 entered production in 1944 as the Soviet's ultimate self-propelled anti-tank gun. This weapon was essentially the T-34/85 chassis with a 100mm D-10S gun sticking out of the front of the hull. The D-10S could penetrate up to 139mm of armor at a range of 2 kilometers. Powered by a 12 cylinder diesel engine, the SU-100 could move its 31.6 tons up to 50 kph. With this level of mobility, armor and firepower, the SU-100 would routinely go cat hunting (Panthers, Tigers, etc.) and would serve in many countries after WW2 well into the 1960s. 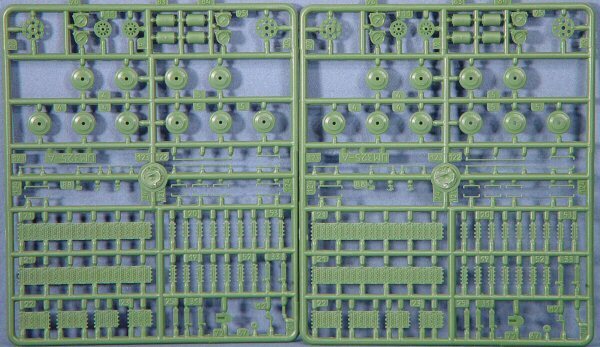 The kit is molded in green styrene and presented on five parts trees, plus two additional rubber trees cast in black containing the rubber road wheels. 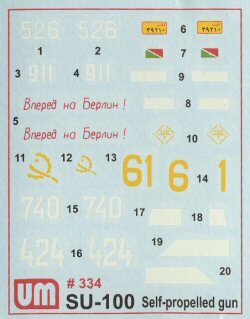 A small fret of photo-etched parts is also included which contains an engine deck grille, a wood saw, and the mantlet for the hull machine gun (not used in this kit). The first two trees contain the wheels and suspension parts. 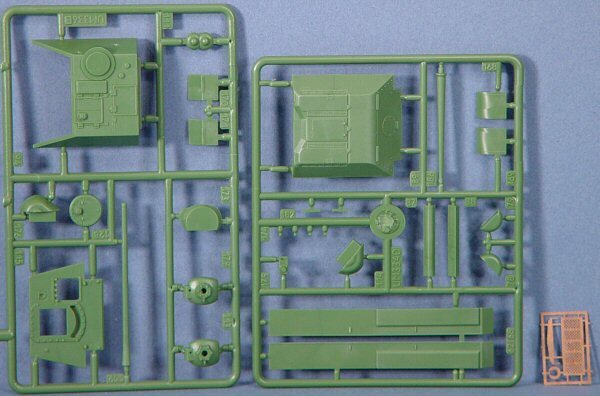 The third tree has the armored crew compartment and main gun barrel. The fourth tree has the rear engine deck and side fenders. The fifth tree has the lower hull parts. 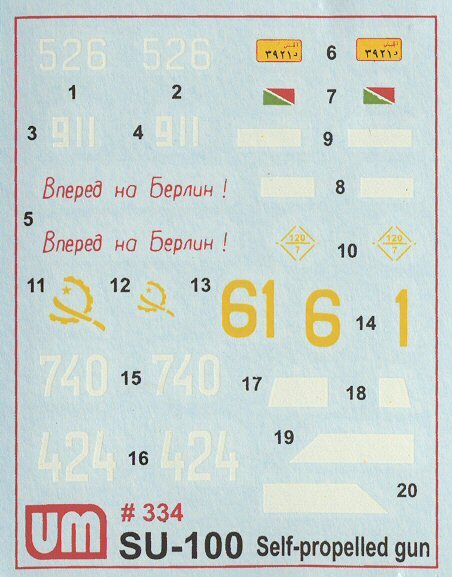 Looking over the instructions, the details of this kit are quite impressive and the SU-100 should build into a nice scale replica.